So I have heard that 50 is considered the new 30. I am happy to announce I will be celebrating my 32nd birthday in October. Someone needs to break the news to my family. My children are headed towards the near side to the 30 mark and I am sure they see me as much older (didn’t we at their age?) My older relatives shake their heads and wonder when I will grow up and act my age. Can you blame me? At this point I don’t know how old to act. 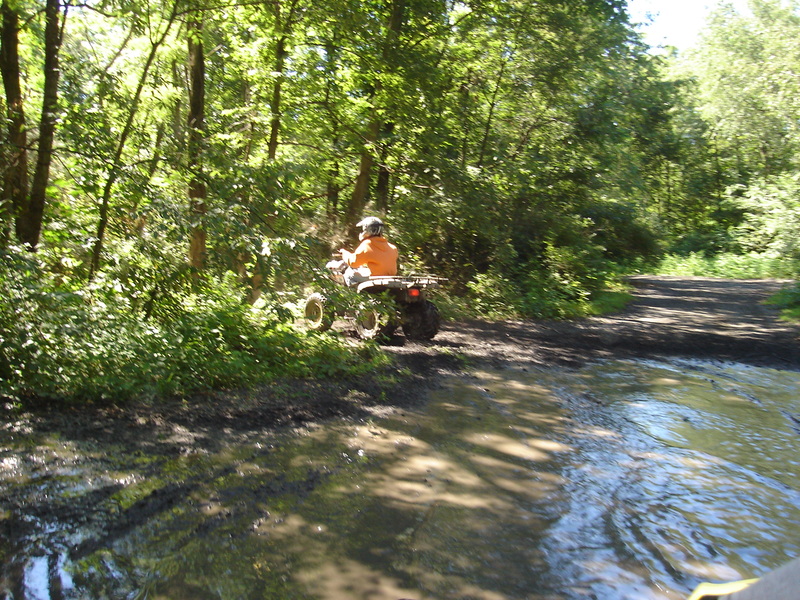 I enjoy activity and my husband and I love to ride our 4 wheeler and razr. Sure there have been some accidents and a trip to the hospital. And they all (young and old) give us a stern look like we should know better. Geez almost thought we were going to be grounded for that one. We like to kayak and camp (sometimes in bear country and very primitive – you know wash in the creek and use of a one star outhouse facility) and take our toy hauler on the road. I remember when we road the Harley to Sturgis I thought I may be disowned upon our return. Recently someone at work asked me what dangerous weekend activity I had lined up for the next weekend. Huh? Why shouldn’t I push the 30 thing to the limit. Who knows next year they may announce 50 considered the new 70 and where would I be then. Besides I need to zipline yet and then climb some ancient ruins in Mexico and Peru…I’ll send them a postcard. Here I am at 73…..I’ll let you know how things are going at this age!! Like I tell the grandsons…..their dogs like being at our house because people move slower and talk slower!! Zip line…. I may try when they do it with wheelchairs!! I’m 34, myself. I love you thirty-somethings who are adventurous!